Do you feel the love in the air? 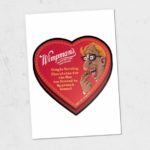 Topps is getting into today’s Valentine’s fun with an online offering. 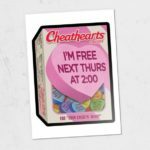 Today Topps launched 2018 Garbage Pail Kids Valentines online set. The 9 card set features 3 new pieces of GPK artwork (a/b versions), and 3 Wacky Packages cards. 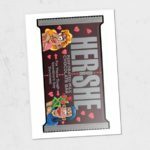 All familiar characters are found on he GPK versions in the set. 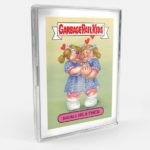 All three GPK cards were completed by artist Miran Kim. The set is available for $34.99 on Topps.com online store. Free shipping is available in the US via the SmartPost option, while international shipping is $10. The set will be available for 7 days. Topps will reveal the print run at the end of the sale. Here is a checklist, and pictures of the cards available.